Miranda v. Arizona is a 1966 United States Supreme Court case that required law enforcement to inform a suspect of their rights prior to an interrogation. If a suspect makes incriminating statements in response to interrogation while they are in custody, and they were not informed of their rights, those statements will not be admissible in court. Miranda was a reaction by the Court to the proliferation of coercive interrogation tactics that were then being employed by law enforcement across the country. The Court specifically noted that they were reacting to a line of cases in which "the police resorted to physical brutality - beating, hanging, whipping - and to sustained and protracted questioning incommunicado in order to extort confessions. The Miranda decision was essentially an extension of the Court's earlier decisions in Gideon v. Wainwright (1963) and Escobedo v. Illinois (1964). In Gideon, the Court held that the Sixth Amendment guarantees the right to legal counsel even for those who cannot afford it, and that this rule applies to the states through the Fourteenth Amendment. In cases where an indigent defendant cannot afford counsel, the state must provide counsel for the defendant. In Escobedo, the Court began to address the problem of coercive interrogations and extended Gideon's holding. The Court held that statements obtained from a defendant who was forced to stand handcuffed for four hours while being interrogated, without access to his attorney, were inadmissible and in violation of the Sixth and Fourteenth Amendments. At a minimum, law enforcement must honor a defendant's request for counsel and must inform the suspect of their right to remain silent. The Miranda opinion contained an extensive discussion of coercive interrogation tactics that were commonly employed by law enforcement at the time to extract confessions from suspects. This discussion included the Reid technique as an example. Any statement they make can be used against them. They have the right to have an attorney present. If they cannot afford an attorney one will be provided for them. The defendant can waive their Miranda rights, provided that the waiver is made voluntarily, knowingly, and intelligently. However, if the defendant expresses that they want an attorney present or that they do not want to answer questions, all interrogation must stop. Any statements that are obtained in violation of Miranda will not be admissible in court. Harris v. New York (1970): Although a confession obtained in violation of Miranda is not admissible in the prosecution's case in chief, it can be used to impeach the defendant as a prior inconsistent statement should the defendant take the witness stand. Rhode Island v. Innis (1980): A spontaneous statement made by a defendant who is in custody, not made in response to interrogation, is admissible in court and is not in violation of Miranda. Berkemer v. McCarty (1984): A person subjected to interrogation while in custody is entitled to the protections of Miranda regardless of the severity of the offense. New York v. Quarles (1984): Created a "public safety exception" to the requirements of Miranda. Colorado v. Connelly (1986): "Knowing, intelligent, and voluntary" means that the suspect reasonably appears to understand what they are doing and they are not being coerced into signing the waiver. It is irrelevant that the defendant may have been insane at the time the waiver was obtained. Dickerson v. U.S. (2000): Miranda's protections are constitutionally compelled and cannot be overruled by an act of Congress. Missouri v. Seibert (2004): Police cannot obtain a confession, then read Miranda rights, and then obtain a second confession. Berghuis v. Thompkins (2010): A defendant must clearly and unambiguously state that they are invoking their Miranda rights. Remaining silent in the face of questioning is not enough. One particular decision concerning Miranda Rights came in 2013. That decision was Salinas v. Texas, a 2013 United States Supreme Court case that our own Houston criminal defense attorney Neal Davis was a part of. In Salinas, the Supreme Court held that, under the facts of this case, a defendant must invoke the Fifth Amendment protection against self-incrimination or the amendment does not apply. The defendant in Salinas was not in custody, did not receive Miranda warnings, and voluntarily answered some questions. He then stopped talking when investigators asked if ballistics would match his shotgun to the murder weapon. The Court held that silence is insufficient to invoke the Fifth Amendment, and suggested that the defendant must verbally invoke the Fifth Amendment right to remain silent, and, if they do not expressly invoke that right, their silence can be used against them at trial. There is no doubt that the requirements of Miranda are still needed in today’s courtroom. Law enforcement investigators are still being trained using the Reid Technique which was one of the primary concerns of the Supreme Court in the Miranda decision. According to the Innocence Project, 1 in 4 cases where defendants were wrongfully convicted and later exonerated by DNA evidence involved a false confession. In many cases, those false confessions were obtained through the same coercive techniques that the Miranda decision was intended to prevent. If you or someone you know is in need of criminal defense, contact Houston criminal defense attorney Neal Davis. 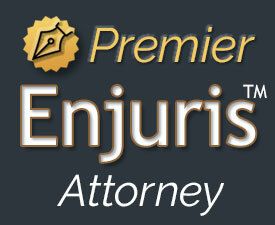 We will do all we can to protect your rights throughout the legal process. Call today for a free consultation.